memories, practical notions, and even compromises." Looking to make your cottage retreat special? Look no further than Cottage Décor for the widest collection and highest quality cottage décor for your decorating enjoyment. Cottage Decor store is your top choice for fine beach house and cottage furniture, coastal living decor, vintage home accessories, shabby chic furniture and more. What is your ideal cottage decorating style? Whether your tastes dictate a rustic or contemporary style—or anything in between—Cottage Décor boasts only unique handcrafted quality cottage furniture and accessories to meet your decorating needs. Create your own special cottage charm to complement your environment and lifestyle—whether rustic relaxation or a breezy coastal living—with our comprehensive cottage décor, a one-stop-shop for cottage furnishings that provide the complete cottage décor—kitchen, bath, living, dining and bedrooms plus accessories and accents. From sophisticated to simple, you’ll find furniture varieties including upholstered, urban, bamboo, wicker and painted to decorate your cottage. Pick your furniture, fabric, color and finish to make a statement for each room your unique cottage decor. Available in a variety of cottage furniture styles, our painted techniques range from a smooth polished look to the whimsical. You can choose a country look, a style suitable to beach house decorating, an artistically painted look and many more. Choose from a variety of colors and finishes. Browse our Painted collection as well as our Finishes selection to find the look just for you. If you prefer a more contemporary style, select from a wide variety of cottage furniture in wood, glass and wood and metal. Many of our contemporary designs are one-of-a-kind pieces that stand out from the crowd. With a complete complement of furnishings for every room in your cottage, you can carry an urban theme throughout for a finished cottage décor. Whether you choose to unwind in a cozy living room or outdoors, our collection of upholstered furniture lets you relax in style. Enjoy the comfort of a sofa or loveseat, pick your favorite armchair and put your feet up on a cushy ottoman. For coastal living, try a plush upholstered rattan chairs on your deck as you watch the ocean waves. Our Finishes palate will exceed your creative imagination. Select your fabric for upholstered cottage furniture pieces. Choose rattan stains for your beach house decorating or opt for a special cottage wood finish available in a host of colors. 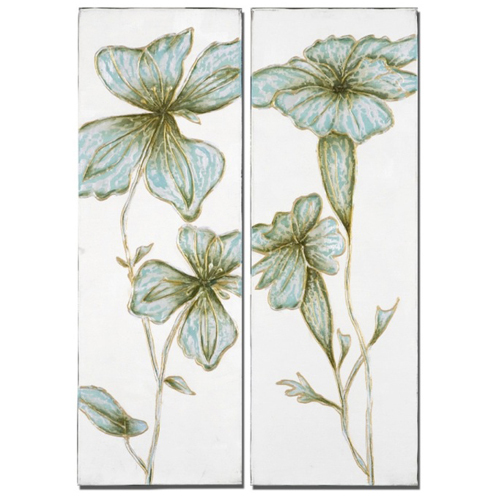 Select a painted artwork finish for a one-of-a-kind accent piece. If you like the look of barn wood, or weathered wood look typical of coastal living, we have those too, and many more options to choose from. Your cottage is not complete without the complimentary accents, rugs, lighting and wall art that tie everything together into a harmonious style. Browse our variety of home décor items that feature clocks, floor and table lamps, birdhouses, serving trays, storage boxes and baskets, room dividers and more. Featuring a wide variety of styles suited to making your cottage cozy and special, our cottage furniture will suit any style and make you proud of your unique cottage décor. If you are looking for a country feel, an antique look or beach house decorating, we have cottage furniture for every room. 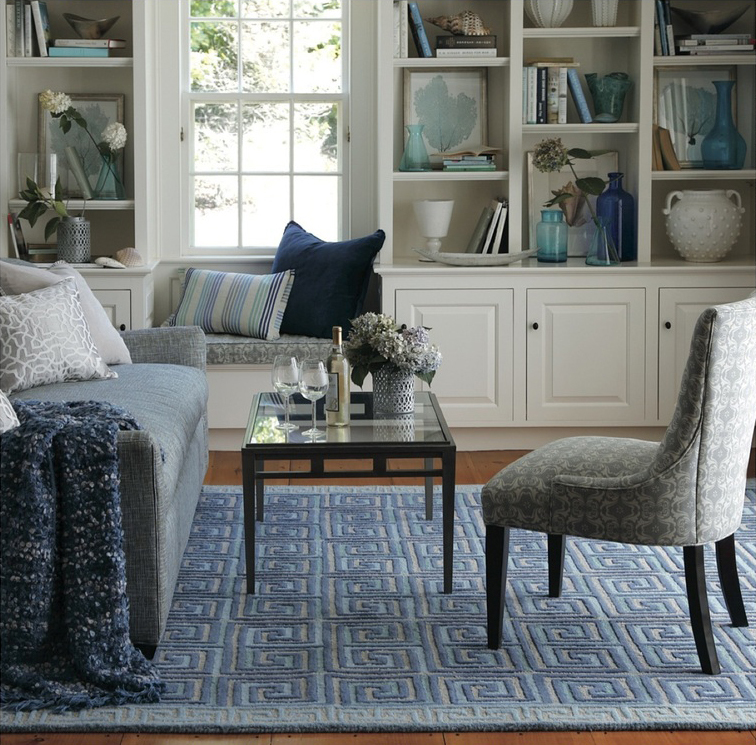 Make your living room truly livable with the right combination of furniture suited to cottage décor. Browse our wide selection of chairs, ottomans, end tables, coffee tables, sofas and loveseats to select the perfect combination of cottage furniture that facilitates comfort, stimulates conversation and welcomes family and friends. With a wide variety of dining tables and chairs, you can comfortably entertain guests and enjoy family gatherings. Complete your dining area in style with one of our many buffets and hutches to ease serving and house your dinnerware. Find suitable tables and chairs for eat-in kitchens, or stools to pull up to the breakfast bar by browsing our line of kitchen cottage furniture. Extra food and dish storage can all be accommodated with one of our many freestanding kitchen cabinets, cupboards and storage shelving for a well-stocked kitchen. Pick from a wide selection of bedroom furniture suitable for the master bedroom, guest rooms or to accommodate an extra guest. With many styles to choose from, you can furnish your bedrooms with entire complimentary suites, including beds, dressers, armoires and end tables, or mix and match according to your preference. Browse our line of storage and shelving to view furnishing that will help you keep your bathroom tidy and organized with vanities, shutter cabinets, organizers, extra drawers and storage cubicles. Available in many sizes and shapes, our cottage furniture will provide utility, convenience and charm to your bath area. Even though it may be your home away from home, you may still need to stay on top of paperwork, pay bills, occasionally touch base with the office or have an organized space for your computer. View our collection of writing desks, shelving, telephone desks, media cabinets and computer hutches for your den or office needs. There is nothing like enjoying the great outdoors, a favorite pastime for cottage owners who enjoy rural and coastal living. We have all the outdoor furniture you will need to enjoy a meal outside or to just relax and enjoy the view. Our choices in style will compliment the cabin architecture and environment, from country living to beach house décor.